These evil occurrences follow recognizable cycles and no one seems to be able to break out of it. 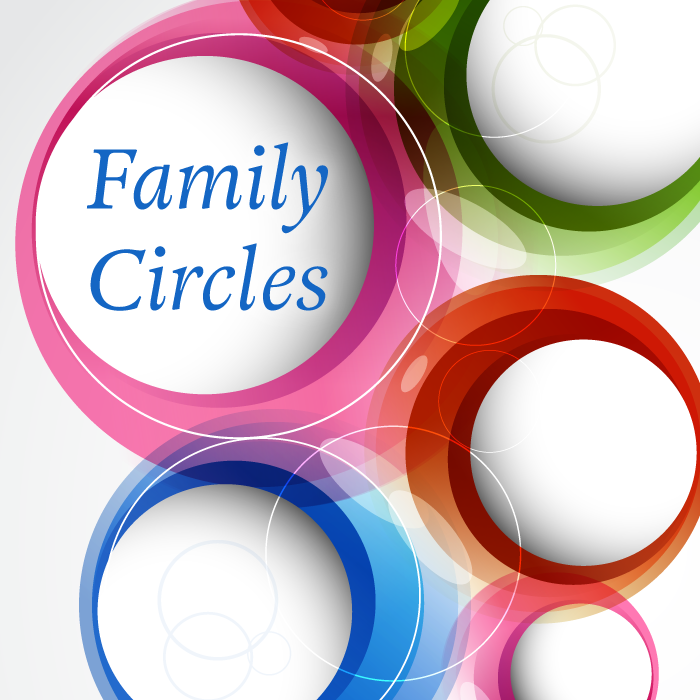 Some families have their own cycles so pronounced that even people from outside the family are also aware of the evil occurrences which befalls the family at certain times in a year, etc. Everything we do in life is a seed sown, whether good or evil, by our action or inaction; and once a seed is sown, it must definitely bear fruit. And so whatsoever we do, is engrafted into our family tree (Galatians 6:7-8), it is common knowledge that we all have our individual family trees with all the traces of generations from where we started to spread. And so, we either reap it in this life (we bear the consequences while we are yet living) or in the life to come (our children coming in the same family tree suffer for it – there’s nothing like reincarnation for the seed of Abraham according to Hebrews 9:27). The thing that hath been, it is that which shall be; and that which is done is that which shall be done: and there is no new thing under the sun. 10 Is there anything whereof it may be said, See, this is new? It hath been already of old time, which was before us. · The cloud of witnesses: Their work is terrible but it is already in one of my posts with the same topic (Romans 12:1). · The sun and the moon: They are the rulers of the day and night (Genesis 1:16), the moon being the faithful witness in the sky (Psalm 89:37). Either in the day or night, whatsoever man does cannot be hidden from either of these two rulers. · The earth: The earth is a womb and produces whatsoever is programmed or planted into it (Jeremiah 22:29). · The familiar spirits: They are disembodied ghost formed from the whoredoms of men, especially by bloodshed. They are used to cause the events of these evil cycles to perfectly repeat itself. What is an evil pattern? This is a regular and intelligible sequence discernible in the way in which something happens or is done. It follows a particular order, and because it is regular it could happen more than once. Once a pattern of a bad thing is played out in full (intelligible), that very pattern becomes recorded and it is encoded into the cycle of life such that the same bad thing would repeat itself following the same pattern after a certain time. Evil patterns are usually formed by parental mistakes. For example, in a family where the first daughter experienced delayed/late marriage, a pattern of delayed/late marriage has been created in that family and encoded into a cycle. If nothing is done, her other sisters or her own daughters would experience the same thing. When an accident or sudden death happens in a family, a pattern of event/death has been created and encoded into the cycle of life. Apart from the hospital treatment/burial, the family has to pray against the repetition of such events and break the evil cycle. Laban knew this and prevented Jacob from marrying the second daughter (Leah) ahead of the first (Rachel) in Genesis 29:21-26. It doesn’t mean that any of the daughters shouldn’t marry, but something should be done so that it doesn’t become a repeating pattern in that family. What is an evil cycle? This is a series of unpalatable events that are regularly repeated in the same order according the cycles of life. The token for an evil cycle to be created is any omen/abomination/iniquity/evil done by men, directly or indirectly. Evil cycles are formed when the evil patterns have been created by the actions of men, and then the patterns are captured by the forces responsible, and encoded into the cycles of life. (Because you might not have had this revelation doesn’t mean it doesn’t happen, these forces are spirits and possess quite some knowledge both on their own and from their master the Devil. They can read destinies, tamper with the stars of people and reprogram the destinies of people using their evil scripts. These are called the handwriting of ordinances which are contrary to what God intended. It is not proper that the children of God suffer for lack of knowledge). · The evil cycles can operate with a curse: The various unrighteous actions of men brings yokes and burdens because every unrighteousness is sin, and the wages (not salary) of sin is death. The death (not necessarily physical) is the curse. So as the evil cycle is created, the curse keeps striking the family at the completion of each cycle. · It operates based on the law of sin and death: This is why daily repentance is necessary in the life of a Christian in order that Romans 8:2 can be our shield. Whenever the law of sin and death is active, the hedge is broken and a serpent must definitely bite (Ecclesiastes 10:8). · The evil cycles are maintained by powerful forces of nature, cruel, wicked and intolerant. The post on cloud of witnesses is an eye-opener (Romans 13:4). Unless something is done to break the cycle, no amount of weeping, wailing, sadness, frustration, soberness can prevent the same event from happening in the next cycle. · It is trans-generational, it can be inherited and passed down to succeeding family generations. This happened in the family tree of Abraham, after a pattern of lie was created in Genesis 20:2, it continued through Isaac (Genesis 26:7) to Jacob (Genesis 25:29-34, 27:18-22) and to the sons of Jacob (Genesis 34:13-29, 37:31-34). Some families could be sudden deaths, a certain ailment, failed business, academic failure, failed marriages, etc. moving from generation to the next unchecked. · It almost always swallows the ‘free-will’ of man: Our lives are already moving in the same cycle of life, and so whenever this evil cycle wants to strike, the freewill to resist it is almost useless because the same forces would arrange a perfect condition for the same evil pattern to repeat itself. Example is incestuous relationships in some families where the fathers defile their daughters. If the evil cycle is not broken, at a time when the present father would be doing his best to avoid re-occurrence, he wouldn’t even know when he falls right into the middle, he can’t just help himself. Alcoholism, drug-related issues, occultism, sexual immorality, spiritism, witchcraft, etc. are other examples. It is only by the Lord’s mercies that we are not consumed. Except a minister of God (pastor or priest, etc.) cleans up his/her foundation, he wouldn’t even know when and how he/she falls from grace and derails because if the foundation is faulty, there is nothing a righteous man can do (Psalm 11:3). · Some cycles don’t have a defined time to repeat itself: This is the most dangerous thing because it could be a cycle that eats up male children in a family. It would wait for as long as possible until a male child is born, then suddenly, it strikes. Some cycles repeat after a long period of years which makes the current generation unaware of what happened earlier (Ecclesiastes 1:11) and therefore ignorant of the evil lurking in the dark waiting for the perfect time. So, by the patterns of our actions, we can unknowingly create an evil cycle that could hit (maybe not even our children) but our grandchildren, etc. in the family tree. Evil cycles have the tendency to do a lot of havoc in the lives of the children of God. · It can distort destinies: The anger of Levi which was cursed by Jacob (Genesis 49:5-7) created a pattern which caught up with Moses at the waters of Meribba when he angrily struck the rock against the commands of God, and we know what it cost him. The conditions were very perfect as the people had already made him upset by their murmurings and unbelief, then it happened, he couldn’t resist it (Numbers 20:1-13). · It can put people into lawful captivity: When the parents eat sour grapes, the children’s teeth are set on edge and they become lawful captives until they are delivered according to Ezekiel 18:20. Our actions have the capability of putting us into lawful captivity of evil cycles such that we keep suffering the same thing over again. · It has the possibility of persisting forever unless something is done: The captivity of Israel was supposed to be 70 years but a repeating cycles of idol worship tried to extend it until Daniel stood in the gap to intercede. Even when the cycle was supposed to last for a specific number of years, after those years, if nothing is done to break the evil cycle, the forces responsible would use that ignorance as a legal ground to keep pushing the cycle to repeat itself. · An evil cycle can take a longer time to appear, thereby taking the people unawares and causing much damage. · Seek out the root cause of the evil cycle: Without finding out the exact cause or the exact evil pattern that is repeated in the evil cycle, it might be difficult to pinpoint a solution to the challenge. Jesus said in Matthew 15:13, that every plant which is not planted by God must be uprooted, so also, something needs to be uprooted from that family tree before peace and joy can come in. · Apply targeted prayers and fasting: When the root cause has been revealed by God through premeditated prayers of inquiry, the next step is to apply targeted prayer and fasting program to break the cycle and destroy the evil load. Prayers for breaking curses and yokes is also very important. This prayer program is not to be a one-off event, but should last for a dedicated number of days (in order to effectively judge that evil cycle using the word of God) with confirmation of its effectiveness. The family can also arrange for family liberation program to be directed by a true man of God who has the knowledge of what God requires and the clear vision of the root-cause of the family’s challenges, because family liberation involves pulling out a people from their captivity. · By the hands of a prophet: This is where the office of a true prophet is very crucial. 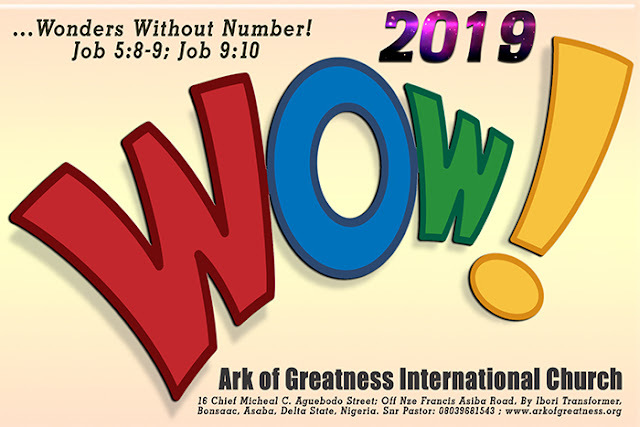 By word of knowledge and word of supernatural understanding, a prophet will be able to quickly pinpoint what caused the cycle and how to effectively break it (Hosea 12:13). · Prophetic ordinances and application of the knowledge of God: The Lord reveals secrets to His prophet with which a family or a person can be set free from the yoke of evil cycles (Amos 3:7). There are prophetic ordinances needed to cancel evil cycles, and some evil cycles are so severe that such ordinances are necessary before the family or the person can be free. There’s also knowledge which one can prayerfully apply to destroy some cycles. For example, some people go through terrible life-threatening events (like accidents, near-death situations) in the week of their birthday. Such a person can arm himself with serious prayers and fasting as the birthday approaches in order to destroy that evil cycle which strikes on their birthday week. · Enter deep into a higher covenant: Most of these evil cycles are like covenants created in the spiritual dimension assuring the repetition of such evil patterns at certain cycles of life. So, when a child of God is deeply immersed into a covenant with God, the cycle can either be directly broken or God reveals what needs to be done to restore the person or the family. Have you noticed a pattern of evil occurrences in your family, we can work together to get the evil cycle broken, by the grace of God. God bless you!